Screenplay: Apart from the very intricately written text, I can imagine a number of sketches. The story was effortless yet intriguing. It explored the incessant struggle of a dyed-in-the-wool couple fighting for survival during the recession days in a metropolitan city. The effortless disposition of pain (read labour) to spend a few moments of heavenly togetherness came from the essence of the screenplay. Very distinctive with the likes of the Iranian cinema of the recent past, the script of Asha Jaoar Majhe tried to conserve its Bengali flavour quite specifically. The film has no dialogue the characters don’t even have a name making it all the more fascinating for any inquisitive film buff. In a nut-shell, a very out of the box effort given the scenario of ambitious films released every week! 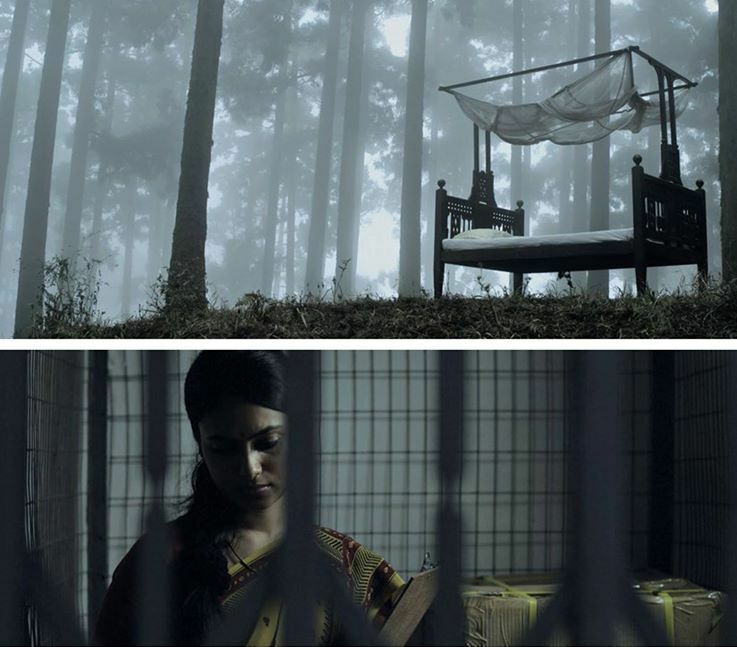 Asha Jaoar Majhe bagged Best Original Screenplay award from New York Indian Film Festival. Sound Design: Labour of Love was uniformly shaped with a very delicate and apposite sound designing. Only a person with a keen ear can listen to the deep-rooted sounds of an everyday life and bring them so naturally on the celluloid. 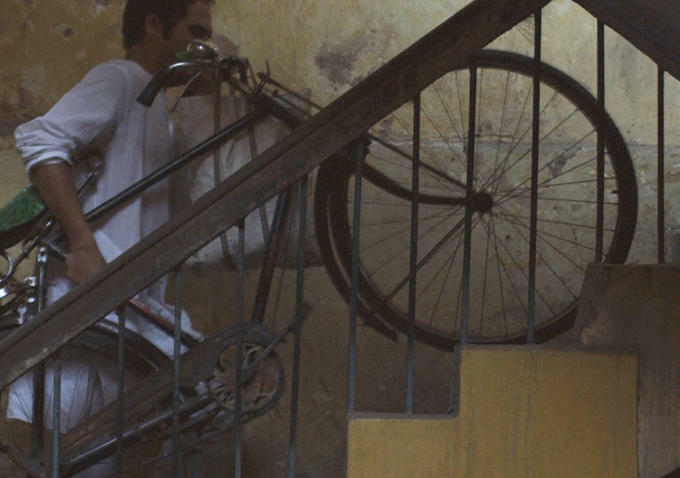 From the monotony of an old ceiling fan to the spirituality of a Bengali evening, from the disturbances of an untimely water pump to the amateurish efforts of a child singer in the neighbourhood – every scene tried to tell a story of its own. The world is not quite quiet even for the loneliest soul; the film illustrates that rather uniquely. The film demands patience, but once you are in the groove it will not test your patience. Rather the sound sequences coupled with the grey frames of a seldom seen Calcutta will take you to a different time. For me the tram bells will ring, the revolution against joblessness will continue, the yearning for being together will again express itself through a radio from a distant land and the sound of unspoiled love will echo in my ears for quite sometime. Cinematography: Initially, Mahendra J. Shetty was doing the camera for Labour of Love and then when he became unavailable, the director took the camera himself. It is quite obvious, that the long shots, the subtle time-lapses, the unusual positioning of camera was well planned; however, the scenes never let the soul of the film go haywire. Every frame depicted an honest minimalism in terms of its composition. Be it the evaporating footprints on the floor, the dawdling sunset or the hurried paddling of the bicycle, every scene portrayed a very integral part of the story. The feat was really amazing and again I have to congratulate the captain of the ship. 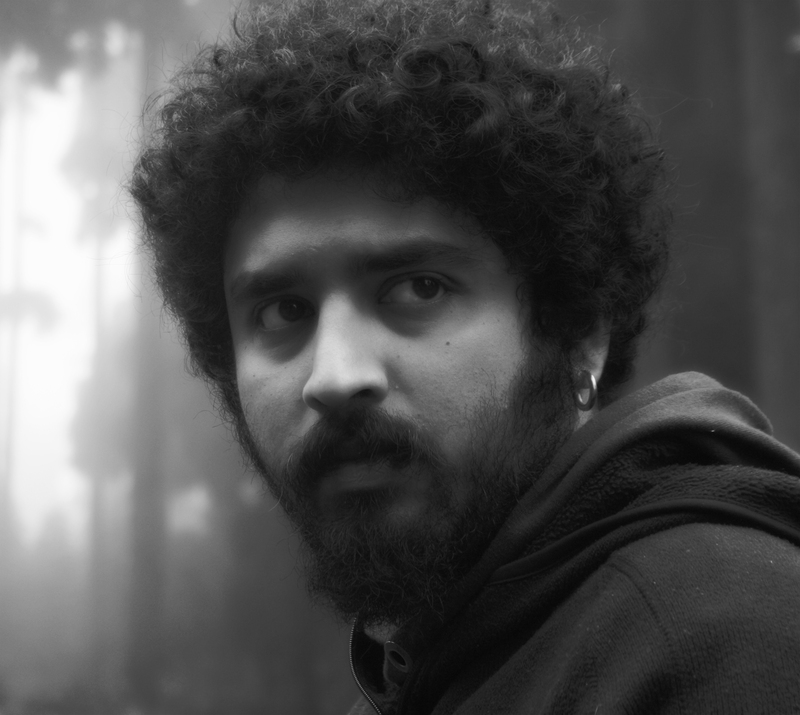 Acting: Ritwick Chakraborty is now probably the most favourite actor for niche film makers. He adds a flavour to all the films he has been a part of. Be it Shobdo by Kaushik Ganguli or Bakita Byaktigato by Pradipta Bhattacharyya, he has made it a habit of winning a national award for his director. His mannerism as a longing husband and his well-timed subtle expressions added a very unique hue to the entire film. He made me curious with very simple actions and the culminating scene of the film demands a special mention! On the other hand, playing the better half of Ritwick, Basabdatta Chatterjee played the character epitomising affection and endurance amid a lot of unsaid challenges. She looked very elegant and poised in every scene of the film and reciprocated her partner beautifully. Credit should go to the Executive Producer for choosing the acting couple so prudently. I congratulate Basabdatta for her efforts and wish her all the luck in the near future. Editing: The editing process took almost a year for Aditya as per an interview published in a reputed daily. Quite responsibly, Sengupta made it sure that the entire effort of production does not go for a toss when he sat for the post production. The way Aditya composed the film, I must thank the clear mind he had and the sincere and candid language he tried to follow. Not a single frame in the film looked forced or incongruent to the flow of the story. Thus the editing made the entire film look even more humble yet appealing to the global audience. All those brain storming hours spent with all those raw rush footage now reaping true dividends. Direction: I would say Asha Jaoar Majhe is completely a director’s film. The way he used unusual long shots to describe every small detail of a couple’s unworldly existence was truly not very uncommon for global film viewers. However, the present trend of quick entertainment has snatched away the valour from directors of our so-called industry. But the brilliance of the director of this film was his execution. He created a cosy, silent and slow illusion with a brilliant audio-visual chemistry. It is very obvious that his demands were much higher as far as the final product is concerned but to say the least, the dream or the vision for a film like this should be hailed with a standing ovation. I am sure, Aditya will not be concerned with the box office outcome after so much has been said and achieved. Dear friend, you have instilled hope in the hearts of many a directors in the country who wants their coffee and films their way! Cheers to the current success with the hope to see more effortless films like Labour of Love. The seventh reason that I would impose on you as an audience who crave for good cinema is that Asha Jaoar Majhe is a kind of film that you will not get to see very often in India. Unless we take time and be more vocal in the support of films like Masan, Killa or Labour of Love in India, film making will stay behind as an industry that will keep producing films like grocery or toiletries. Asha Jaoar Majhe demands an attention by virtue of its cinematic brilliance and not by means of flashy hoardings, greedy stars or costly advertisements. mymotionpicture by Sudipto Roy is licensed under a Creative Commons Attribution-NonCommercial-NoDerivs 3.0 Unported License.